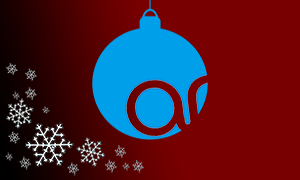 Everyone at Avanti hopes you enjoy this festive season and have a great time whatever you are doing. Avanti will be closed as usual between Christmas Eve and New years day but our online services for contractors are still in place and further details are included below. You will find the log-in for our online timesheet system at the bottom of our website home page so please go ahead and log your time as usual. The management team at Avanti and the heads of department do have occasional access to emails over the festive break so if you have urgent enquiries please email one of the points of contact below. However we will not be able to help with payment processing as this is down to the banks and various other businesses that may or may not be working over this holiday period. Avanti are open from 8:00am on Christmas Eve until early afternoon, we are then open again on January 2nd from 8:00am all day. If you need to email someone regarding contracts over the holidays please contact james.p@avantirec.com, if you need to email someone regarding permanent placement issues please email gary.j@avantirec.com for IT and john.m@avantirec.com for engineering.